Post mounted lockable poster cases, with felt covered pin board back panels. 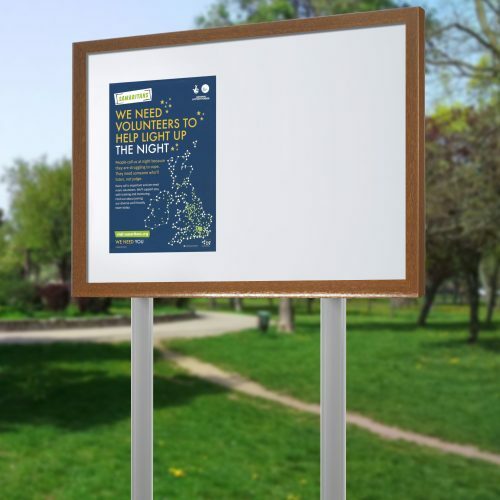 Fantastic for church, school or community notice boards. 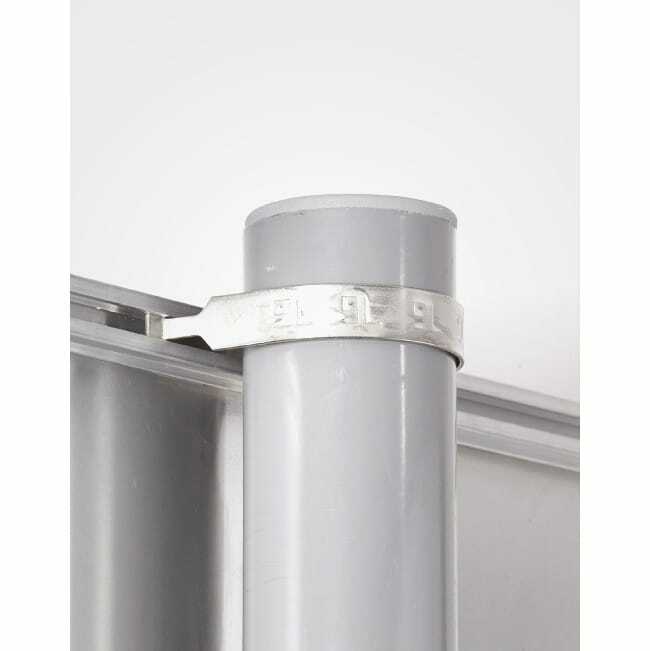 This system is secure, waterproof and vandal resistant. 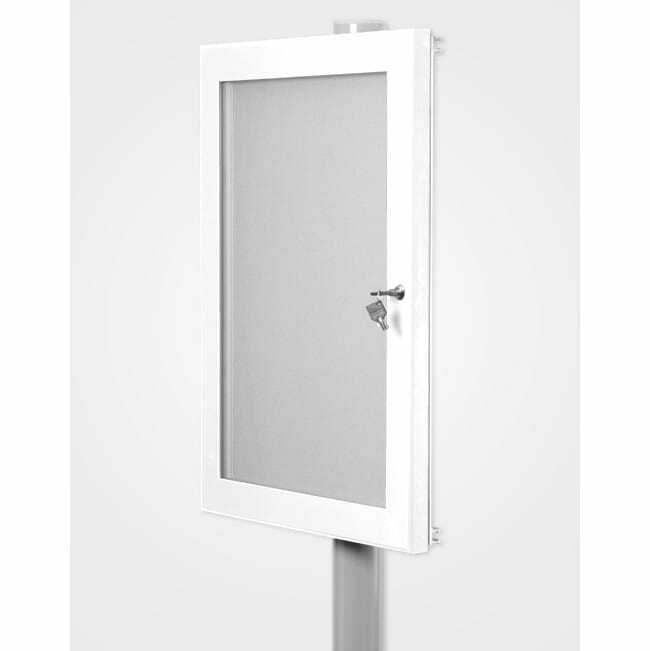 Frame and posts available in a range of 12 stock finishes. Ideal for external locations and offered with single or double door options. 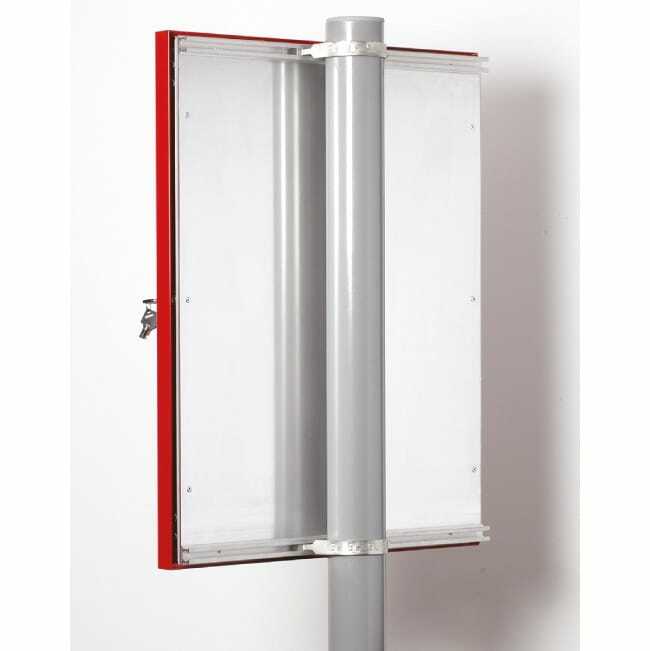 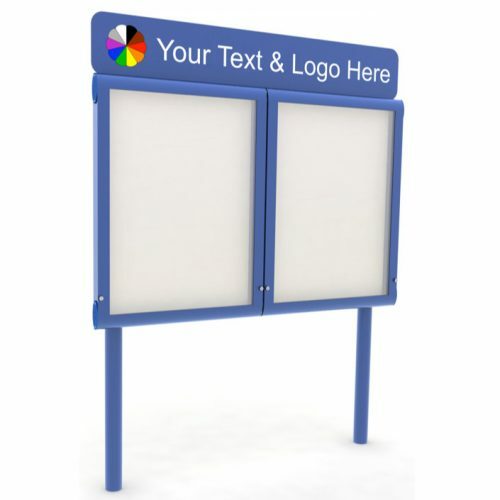 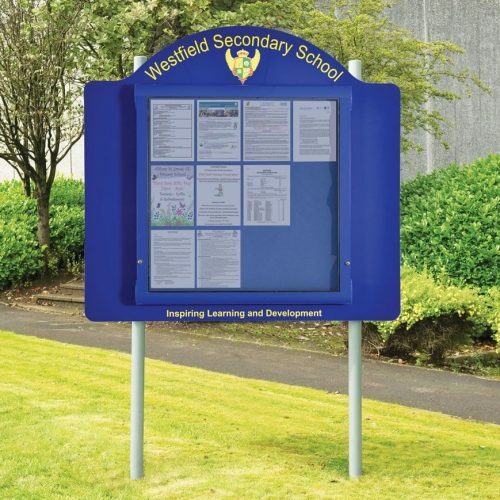 Lockable Pin Boards mounted on posts and suitable for a range of media types. 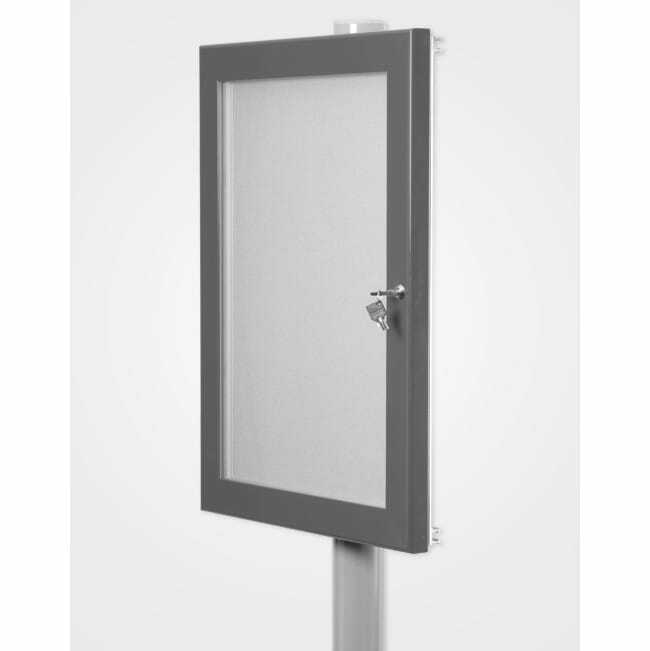 This system is secure, waterproof and vandal resistant. 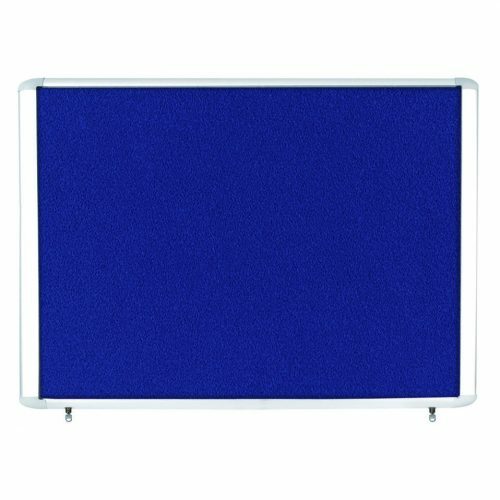 Frames and posts are available in 12 stock finishes. 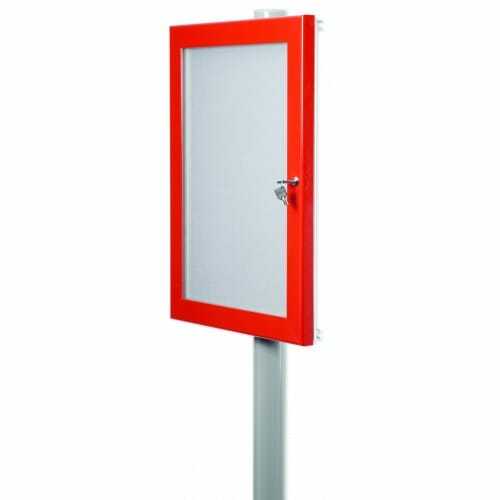 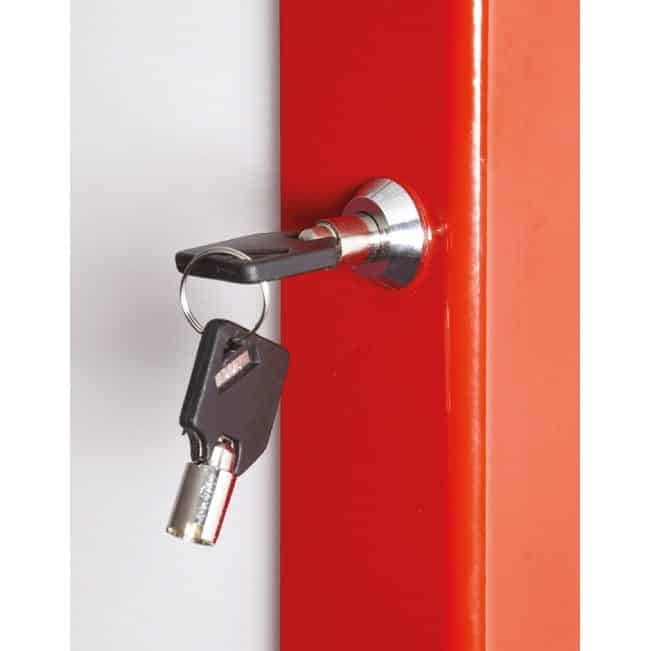 Ideal for external locations and offered with single or double door options.